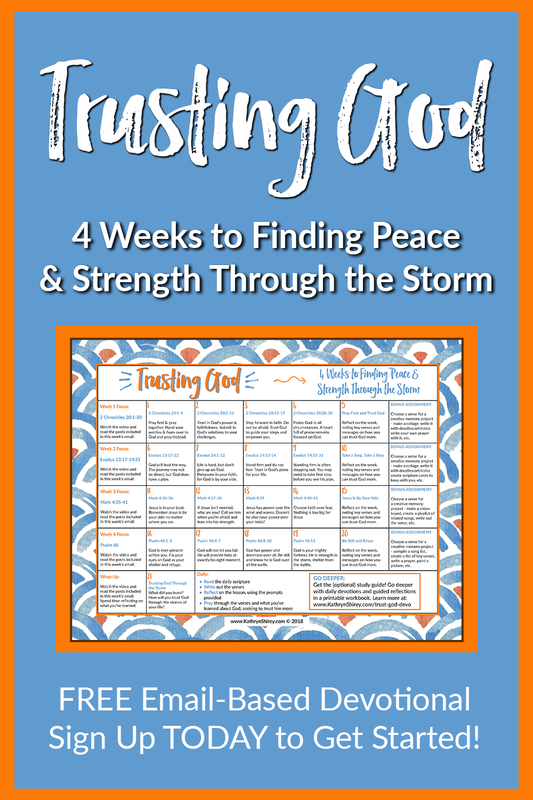 Want to Find Peace & Strength Through Your Life's Storms? This Trusting God devotional is completely FREE to join! All you need an email address and an open heart. > Learn how to turn to God when life gets hard. > Explore God's faithfulness and power over this world. > Begin to trust God in your own life and find his peace. You'll receive daily emails over the next 4 weeks, guiding you through the Trusting God devotional. Some days will include video lessons (on YouTube) and links to other resources online. The emails will provide the day's scripture to study, along with specific prayer and reflection prompts. Click Here to Sign Up (for free)! Do You Have Peace In The Storms of Your Life? Life has a bad habit of hitting us hard with troubles of all kinds. Sometimes we see it coming, but others sideswipe us and send us reeling. Troubles with our families and loved ones, diagnoses and diseases, job losses, financial struggles, difficult relationships, addiction, abuse, weather-related disasters, and so much more. Often we're facing not just one of these, but several at the same time. It's a heavy burden. How are you handling your trials? Withdraw in fear, desperately try to find solutions, fight back in anger? What fills your heart in these times? Worry, stress, anxiety, despair, anger, hurt? Where do you turn for help and strength through the storm? Friends, family, Facebook, Google? You could have peace in your heart about the storms in your life? You could feel strong enough to face the battles ahead? Your heart could be filled with hope about the future and confident about the journey ahead? There is a better way to face the storms in your life. ​You can face life's trials with a peace-filled heart. You can find strength beyond yourself. You can hold onto hope and confidence, no matter what battle you're fighting. Learn to trust God and you'll find peace and strength in any storm life brings. Join me for the FREE Trusting God devotional and find peace and strength in your storms! Over the course of 4 weeks, we'll study and pray through four Scripture passages that were instrumental in my own journey to trust God. This devotional is led through daily emails for 4 weeks. Start with weekly video lessons introducing each Scripture passage. Each day, dive deeper into specific verses of the passage, with prayer and reflection prompts provided via email. Links to additional resources and materials will also be included in the daily emails. Take your study deeper with the Trusting God study guide (click for more details). Are you ready for a better way to face the storms in your life? I've been there! I've walked through many dark and stormy seasons, faced my own trials and battles. I've reached the end of myself, out of solutions, unable to see the way forward. Then, I started to pray and open my heart to God. I began to read the Bible. I discovered a personal God who desired to know me. He filled me with peace and strength through these storms. In the Trusting God devotional, we'll study the Scriptures that spoke most to my heart and helped me learn to trust God in some of the darkest seasons of my life. I learned to trust God the hard way - reaching the end of myself and slowly finding God. You can get there faster by diving into this study. Through this month, you'll learn four keys to trusting God - four lessons I learned over the course of years as I journeyed through storms. If you'll open your heart and dive deep into these Scriptures, you'll be on your way to more peace, strength, confidence, and hope in just a month. Week 1: 2 Chronicles 20:1-30 - Pray first and lean into that prayer, trusting God will answer. Week 2: Exodus 13:17-14:31 - Take a step, take a step, trusting God to lead your way. Week 3: Mark 4:35-41 - Know Jesus is by your side and has all power and authority. Week 4: Psalm 46 - Be still and know he is God, finding strength in stillness. If you want to take the study deeper - or study on your own - you can purchase the (optional) Trusting God study guide. The Trusting God study guide provides additional details for each day's lesson, with more in-depth study and reflection on the Scripture, additional reflection questions, and a guided devotional. Kathryn is an ordinary girl following an extraordinary God, writing about prayer and following Jesus at www.KathrynShirey.com. 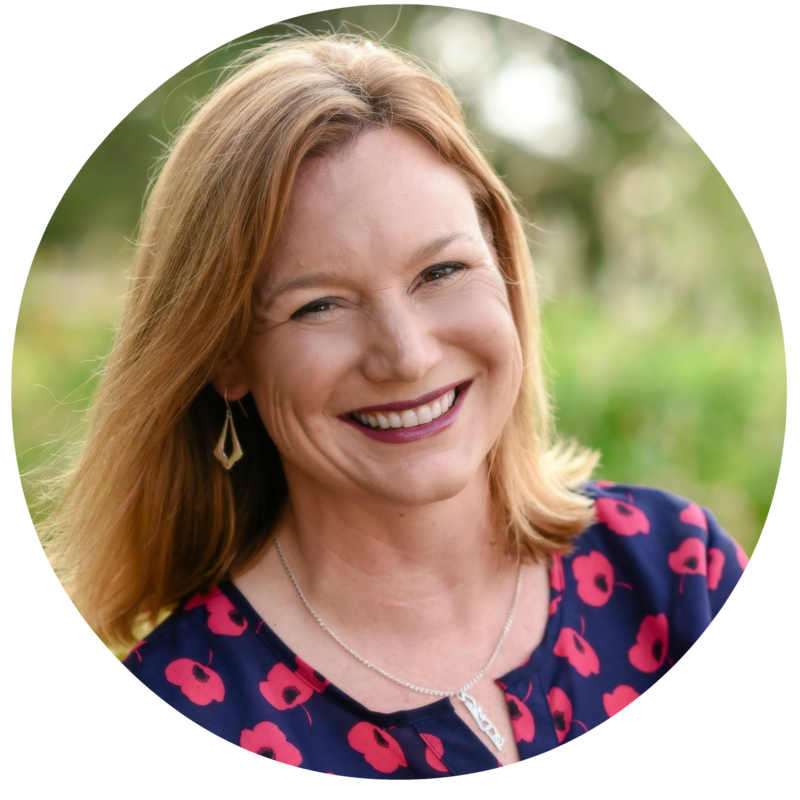 A recovering prayer skeptic who's experienced first-hand the power of prayer, she's passionate about guiding others to discover the transformation possible through prayer. Author of prayer devotionals and resources to help you grow your prayer life. Find more of Kathryn's resources at www.KathrynShirey.com/store.